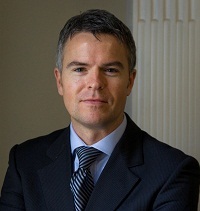 Terence McNamee received his PhD in IR from the LSE in 2003. He is now Deputy Director of the Johannesburg-based Brenthurst Foundation. There have been few dull moments in the ten years since my last stroll down Houghton Street as a student. Armed with a PhD from the IR department, I was able to convince one of the world’s oldest think tanks – a venerable, albeit small and slightly eccentric, British institution, the Royal United Services Institute on Whitehall in London – to entrust their publications to someone without a military background (and a Canadian at that! ), including their much loved flagship (RUSI) Journal, the oldest defence and security periodical in the world. During eight happy years with the Institute as Director of Publications and Editor, I found myself moonlighting in various fragile states, such as Afghanistan and the Democratic Republic of Congo, for short periods as an analyst, writer, researcher or as a member of an international delegation. This helped fuel my passion for and interest in African development, so by the end of 2009 when a ‘once-in-a-lifetime’ type opportunity arose on the continent – I couldn’t pass it up. I am now entering my fourth year as Deputy Director of the Johannesburg-based Brenthurst Foundation (established by the Oppenheimer family in 2005) which conducts leading-edge research and delivers high level policy advice to governments across Africa. Aside from any lecture or 1-minute conversation with the incomparable Christopher Coker (he was my supervisor, but most who were not would say the same), perhaps the greatest takeaway from my ever-stimulating, often-inspiring time amidst the great minds mulling about the IR department at LSE was the moment(s) when you witnessed theory and practice, policy and academe, come together – there are few places in the world where the intersection is real and alive, as it is at LSE. This entry was posted in featured alumni and tagged featured alumni, phd in ir, postgraduate alumni. Bookmark the permalink. British Politics and Policy at LSE LSE blog communicating social science research and commentary in ways that enhance public debate and understanding.